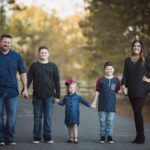 In 2007, after the birth of their first son, David was working the night shift at his job and encountered something that would alter his life forever: a bolt broke and 750 lbs worth of equipment collapsed on top him, shattering his left ankle. For the next 6 years, David was on a rollercoaster of surgeries, rehab + therapy, and pain management. In 2013, something had to give. Surgeons had no more options and fused his ankle. They offered no healthy, sustaining option for pain relief. His wife, Candie, suggested they make some dietary changes in an attempt to improve their overall well being. They set out on a 3 year journey to find BETTER. However, like any unhappy period in one’s life, David could not fully give up his vice, food (glucose will do that), and often lose any progress he made. Candie began seeing her friends on Facebook talk about Prüvit, and how awesome they were feeling while drinking these “ketones.” Candie was intrigued, but David was uninterested. Eventually she reached out to one of these friends and was invited to a Keto Mixer in Houston, TX. After about 30-45 minutes of drinking Maui Punch KETO//OS® Max, they could both feel the shift happen. They were down on their luck with nearly everything to lose. How were they going to make Prüvit happen? By going ALL IN together and taking a leap of faith, they found BETTER. That was nearly 2 years ago. Every Prüvit story is unique, and yet every Prüver has the same passion for better. No matter where you start in life, you always have better waiting at the finish line. You just have to power through to get there.